Established in 2001 Property Guard offer high end professional Burglar Alarm and CCTV solutions to both domestic and commercial clients. 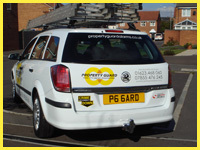 Covering Mansfield, Ashfield, Chesterfield, Newark and surrounding areas specialising in wireless alarm technology and HD CCTV, we pride ourselves on tailoring our service to the individual requirements of our customers, providing a personal, professional and friendly service throughout – from the initial consultation through to the system’s installation and further aftercare. We have an ever growing client base, with most of our business generated though customer recommendation. We also hold a high retention rate for repeat custom and ongoing annual servicing and maintenance. Throughout the years we have gained experience and knowledge of systems old and new. 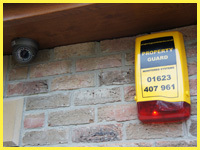 Allowing us to offer service, maintenance and repair to any professionally installed alarm or CCTV system. Please contact us to discuss any requirements you might have.